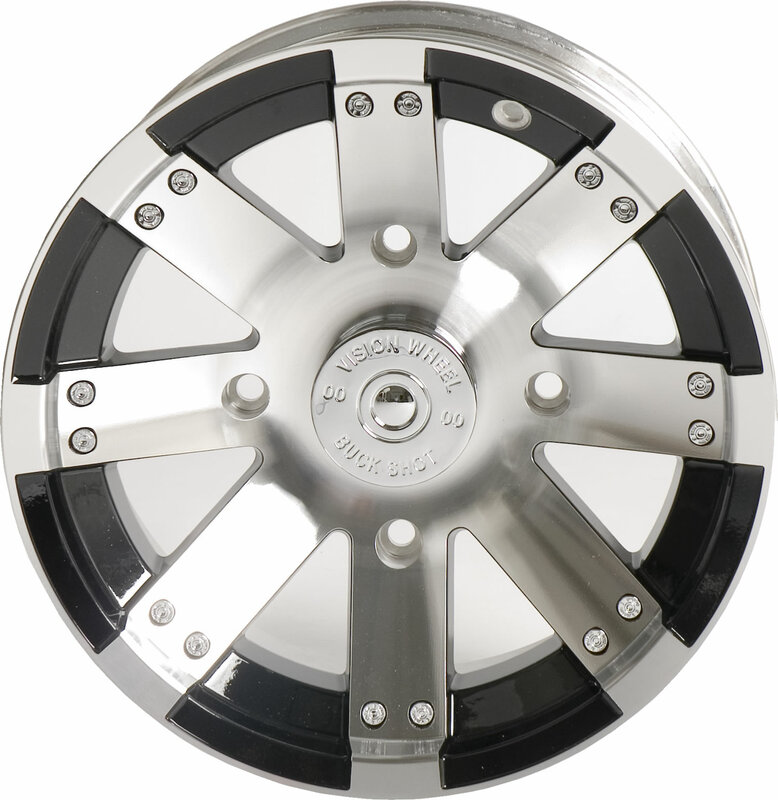 Vision ATV Wheels are an excellent choice to refresh the look of any ATV or UTV. Their unique styles are sure to make you to stand out from the crowd. Most ATV enthusiasts settle with what's available at their local shop, as a result many quads end up looking the same, running the same wheels and tires as the next guy. Vision wheels will set you apart, impress all those you ride with by ordering your Vision ATV wheels today! 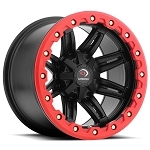 - Vision Buckshot Atv wheels are sold individually. 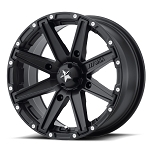 - Vision ATV Wheels are available in 12x7 & 12x8 sizes. - Center Caps & Lug nuts are included with all Vision ATV wheels. Excellent wheels, looks great and good price. Would recommend this to anyone. These wheels look great on my 2013 Suzuki mini truck. Q: What does the Vision 158 Buckshot rims weight that fit the front/rear of my 2016 Polaris 570 2-up EPS ATV? Rim sizes are 12X8 front and 12X10 rear. 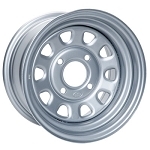 A: These rims are offered in 12x7 or 12x8 sizes. They would fit your 8 inch and 10 inch wide tires that you have on your ATV. The 12x7 are around 13 lbs. each. The 12x8 are around 15 lbs. each.